Wow…A sign of things to come. A billboard in Mississippi featuring Donald Trump’s “Make America Great Again” slogan and photos from “Bloody Sunday,” one of the most violent attempts to stop the Civil Rights movement in 1965 is drawing criticism from state and local officials. The billboard near Pearl, Miss., and put up by a group called For Freedoms, says “Make American Great Again” – Trump’s campaign slogan – and features as art images from “Bloody Sunday,” one of the most violent days of the Civil Rights movement. The original photo dates to March 7, 1965, when police and protesters faces off over voting rights in heavily segregated Selma, Ala. Future U.S. Rep. John Lewis was among those beaten by police and 14 people were killed. Hank Thomas, one of the artists behind the billboard, told WJTV that he knows Trump likes attention and sought to use the art to have an impact on the political landscape. “I really want us to start to ask harder questions like well what do you mean when you say make America great again? That has not yet been asked,” Thomas said. Mississippi Gov. Phil Bryant called the billboard reprehensible. Pearl Mayor Brad Rogers asked Lamar Advertising to remove the billboard, even though it isn’t vulgar and is protected freedom of speech. Reminding them of what their Saint Raygun said. One would have hoped many other organizations could have found the money, or cleverness to do the same to battle right wing facsism as will be on full display in the Chumph convention. Former President Ronald Reagan’s son and namesake Ron Reagan is literally the poster-person against religion. While the younger Reagan has been doing ads on news channels for the Freedom from Religion Foundation, it will be his father’s words that will hover over the Republican National Convention in Cleveland, Ohio in July. 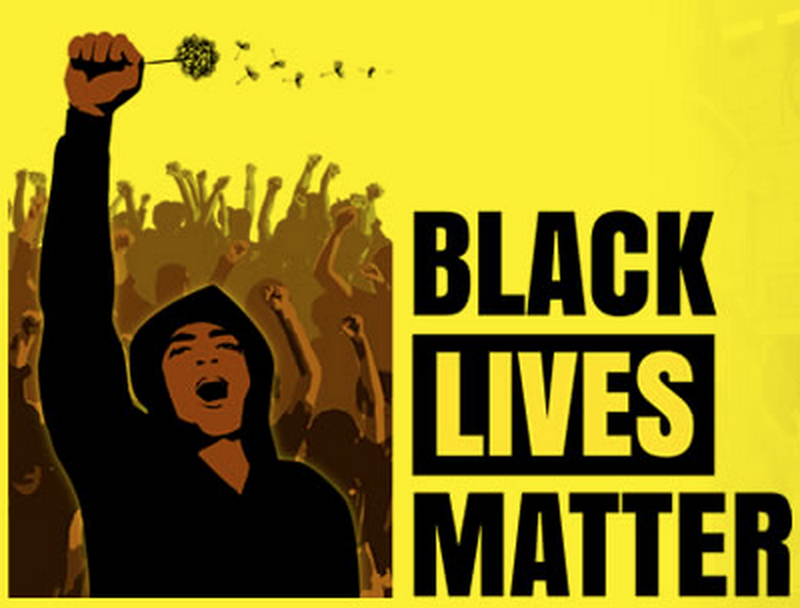 “We establish no religion in this country… Church and state are, and must remain, separate,” the billboard will read. Co-President of the Freedom from Religion Foundation, Annie Laurie Gaylor, said in a statement that this particular message was important at this point in history. The local chapter director, Marni Huebner-Tiborsky, agreed that the message is an important one for Republican leaders to remember. “This billboard couldn’t be any more timely, and is definitely needed to remind our political leaders and the public that political campaigns should stick to a secular platform, where real change can happen,” she says. The above is an actual campaign billboard by a Chumph supporter running for office in Tennessee. In a Facebook post on Tuesday, Tennessee resident Amy Hines Woody expressed her outrage by posting a photo of the “Make America White Again” sign, WTVC reported. Tyler also suggests that his billboard is based on Donald Trump’s “Make America Great Again” slogan. A second sign used words from Dr. Martin Luther King’s “I Have a Dream” speech along with an illustration of the Confederate flag surrounding the White House. But after the Kiwanis of Ocoee and others joined the boycott of Tyler’s restaurant, the “Make American White Again” billboard mysteriously disappeared. North Iowa Tea Party displays billboard comparing Obama to Hitler. R – a – c-i-s-m-T-E-A. Indeed, the ad is for …”Wood cutting”. “Tiger has no formal affiliation with the organization and has not previewed or endorsed the ad but the image and the idea were too good to pass up when it comes to helping find homes for animals who will otherwise be left out in the cold,” PETA explained in a statement. Posted by btx3 on February 26, 2010 in Nawwwwww! You Thought Tiger Had Problems? Huge billboards depicting the married software executive with YaVaughnie Wilkins, his former mistress, appeared this week in New York, Atlanta and San Francisco, setting tabloid tongues wagging. The billboards with the words “You are my soulmate forever!” appeared to be an attempt by Wilkins to embarrass Phillips after their relationship ended and he returned to his wife. “I had an 8 1/2-year serious relationship with YaVaughnie Wilkins. My divorce proceedings began in 2008. The relationship with Ms. Wilkins has since ended and we both wish each other well,” Phillips, 50, said in a statement released through a spokeswoman. The spokeswoman would not elaborate on the status of Phillips’ marriage. 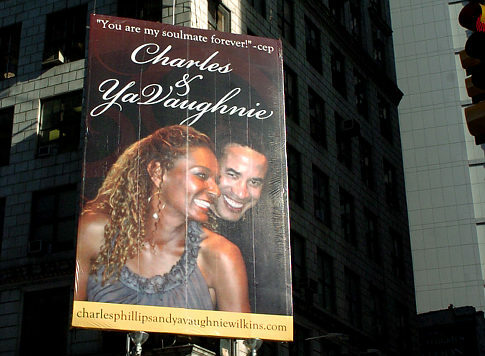 The billboards also featured the address of a web site, http://www.charlesphillipsandyavaughniewilkins.com, that contains more than 1,200 photos of Wilkins and Phillips together from 2001 to 2009, some 65 karaoke tracks and about 35 articles written by Wilkins, according to its designer, Bela Kovacs of San Jose, California. “She (Wilkins) told me it was a gift to Charles,” Kovacs said. He said the site was put up online in late October, where it gathered little attention until the billboards appeared. The billboard in New York was dismantled on Friday. Wilkins could not be reached by telephone or email for comment. A spokeswoman for ClearChannel, which operates the billboards, said the company had no comment. Phillips, who is also a member of Oracle’s board of directors, joined the software company in 2003. Prior to that, he worked for Morgan Stanley investment bank. In February 2009, Phillips was appointed to the President’s Economic Recovery Advisory Board to help provide the Obama administration with economic advice. Posted by btx3 on January 22, 2010 in Nawwwwww!